DEALERS – Available NOW! : Call the trading room to order 800.375.4653 or login to FizTrade.com. Introducing the Royal Canadian Mint’s New Predator Bullion! Dealers, login today to order the latest release in the RCM’s exciting “Predator” series. The Wolf is 99.99% pure silver. 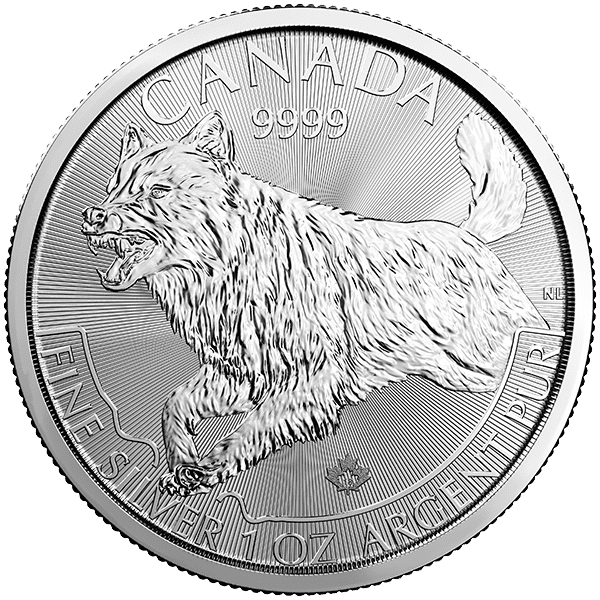 The coin features an engraved portrait of a wolf in pursuit of its prey created by Canadian artist, Nathalia Lagace. Guardian of its territory, the wolf (Canis lupus) is a fearless hunter that relies on its remarkable intelligence, its keen senses, and a pack mentality to maintain its reputation as an apex predator. It also plays an important role in the biodiversity of the remote areas it inhabits, from Newfoundland and Labrador to British Columbia and north. The Predator series includes the 2016 Cougar and the 2017 Lynx. The wolf is set upon finely cut radial lines that adds to the coin’s security. The reverse also includes a laser-cut maple leaf with an “18” year of issue marker for enhanced security. 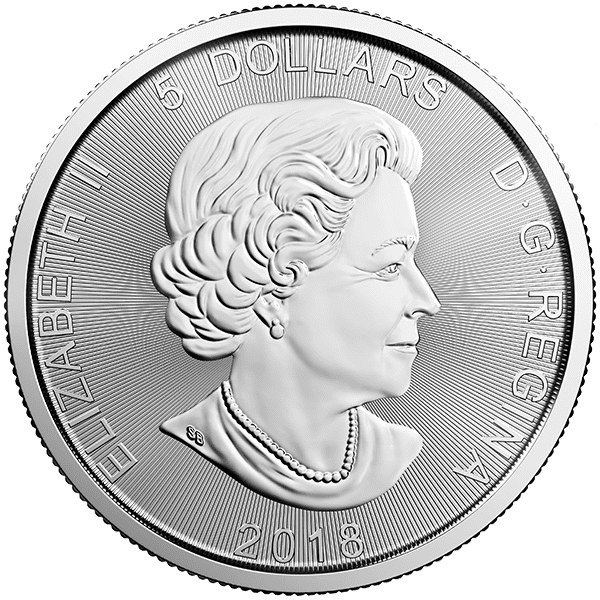 The obverse showcases the profile portrait of Her Majesty Queen Elizabeth II.